ESPN’s ‘Highly Questionable is no stranger to having hip-hop artists swing by for an interview. 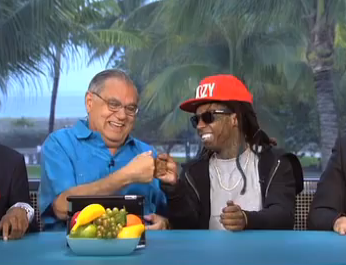 Yesterday Weezy stopped by and what happened between commercial breaks is one for the book. Joined by Big Papi he recited “HYFR” minus the curse words.